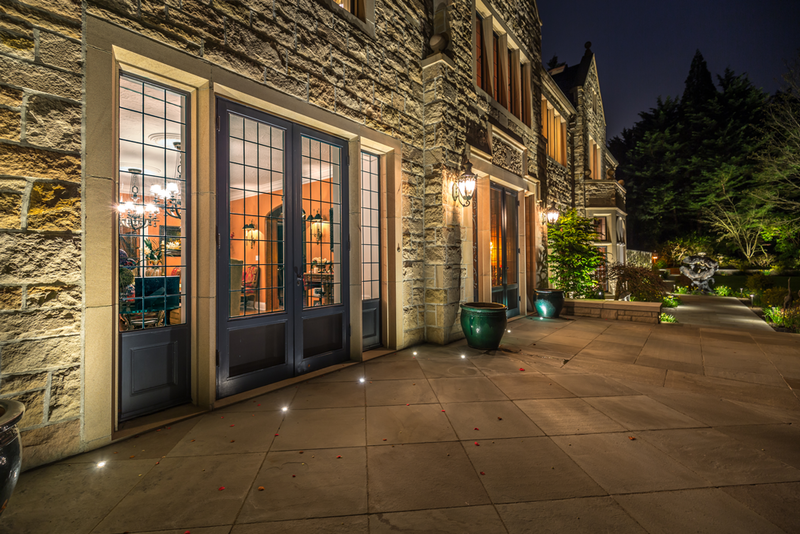 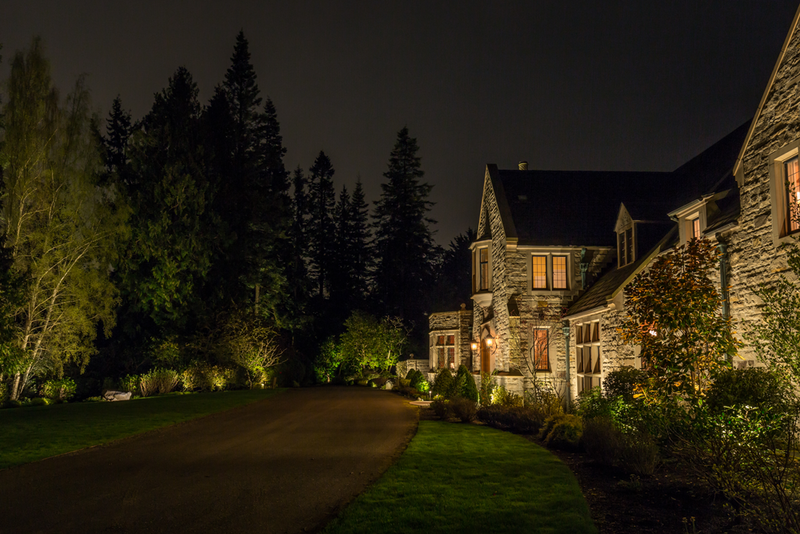 Apex Outdoor Lighting is a premier provider of outdoor lighting services. 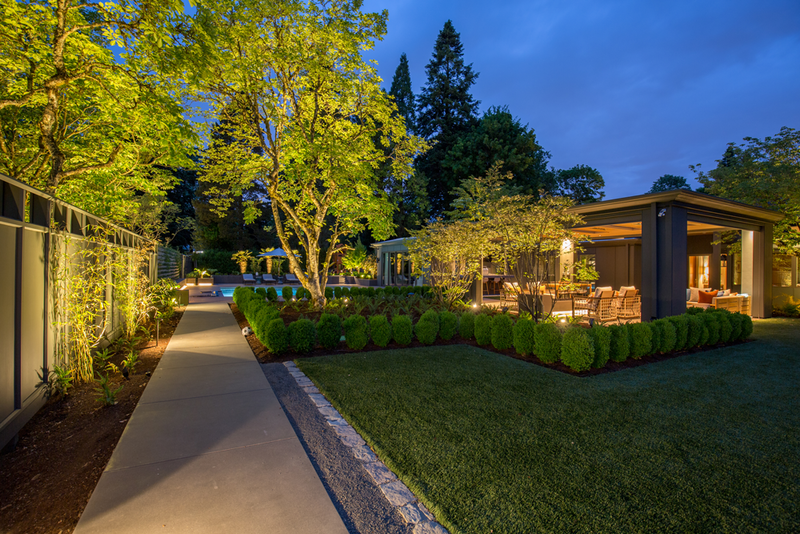 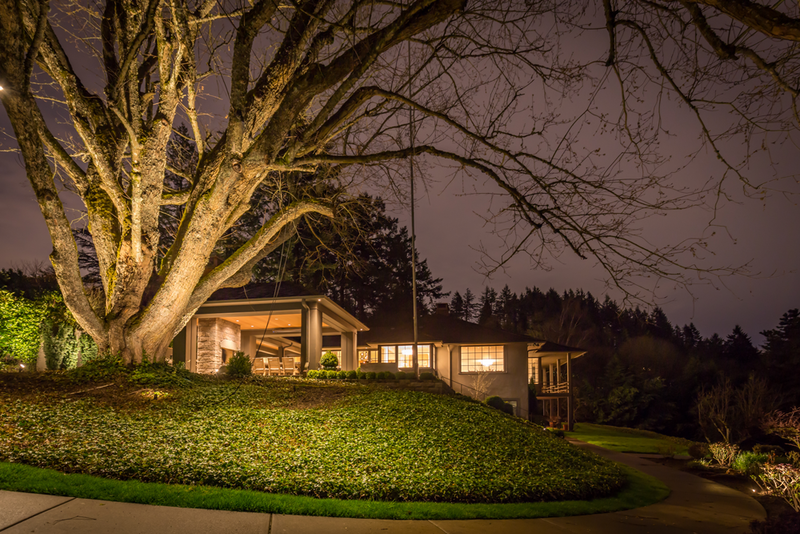 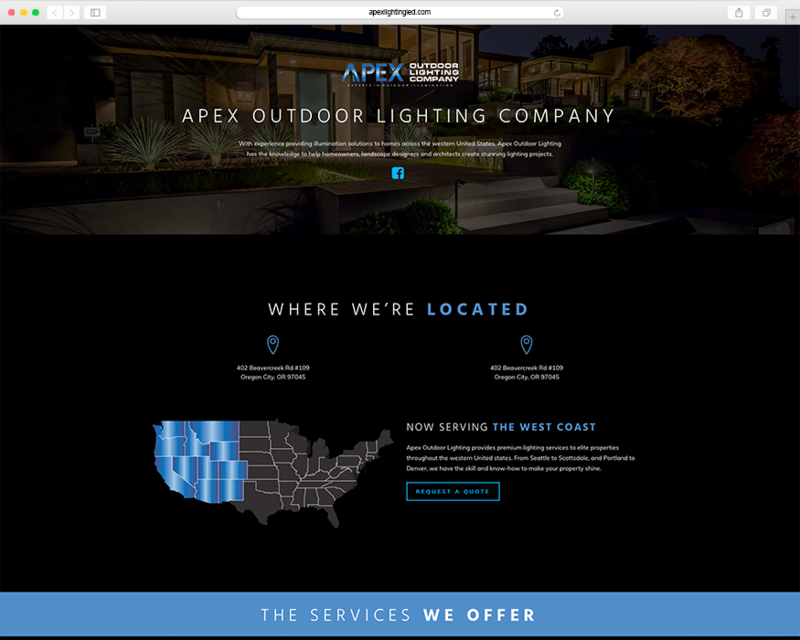 Apex came to Eris as a new business that was looking for a website to match its ambitious goal of dominating the outdoor lighting industry in the western United Sates. 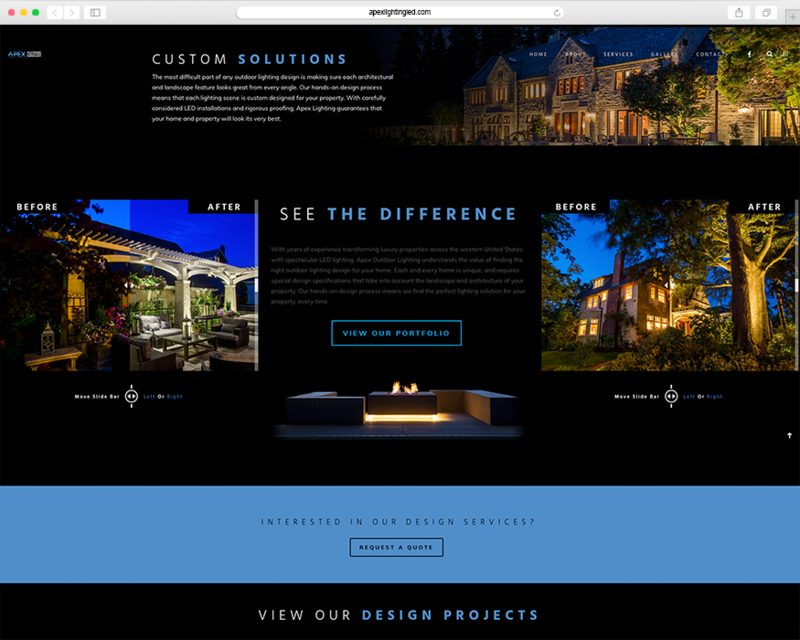 Our challenge for this project was in building a website for a brand that had yet to be established. 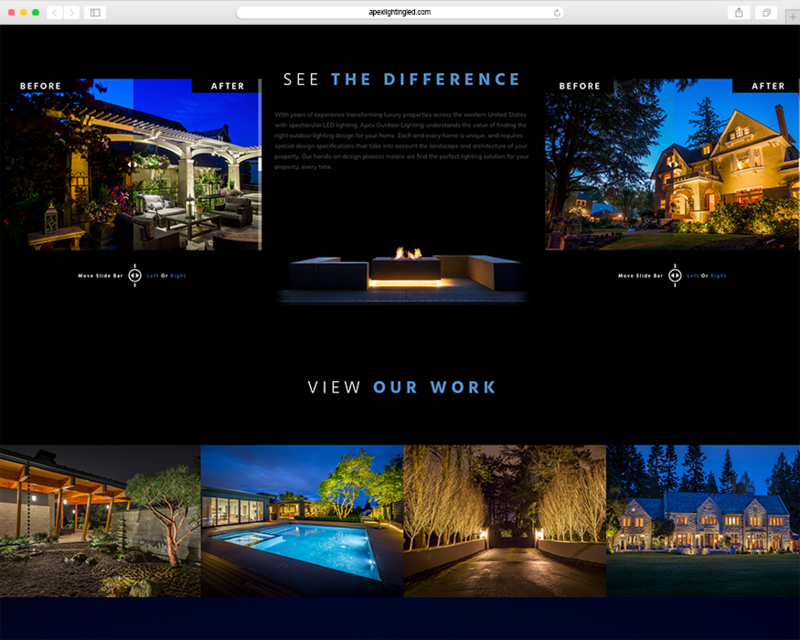 Eris worked with Apex Outdoor Lighting to design a website and brand message that would serve as the stepping stone for its business. 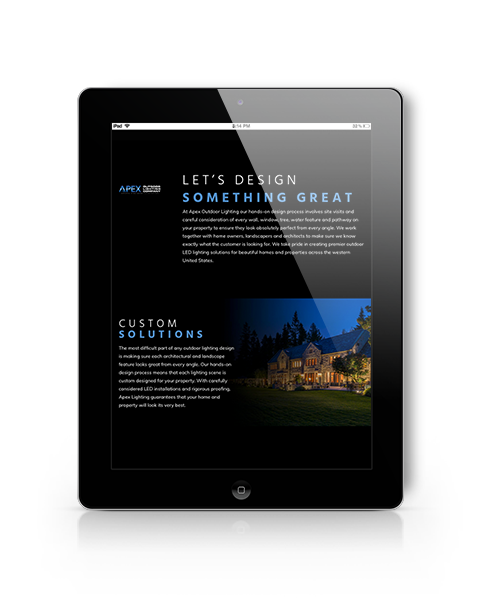 We honed in on the core items that would define the brand and translated those into the website. 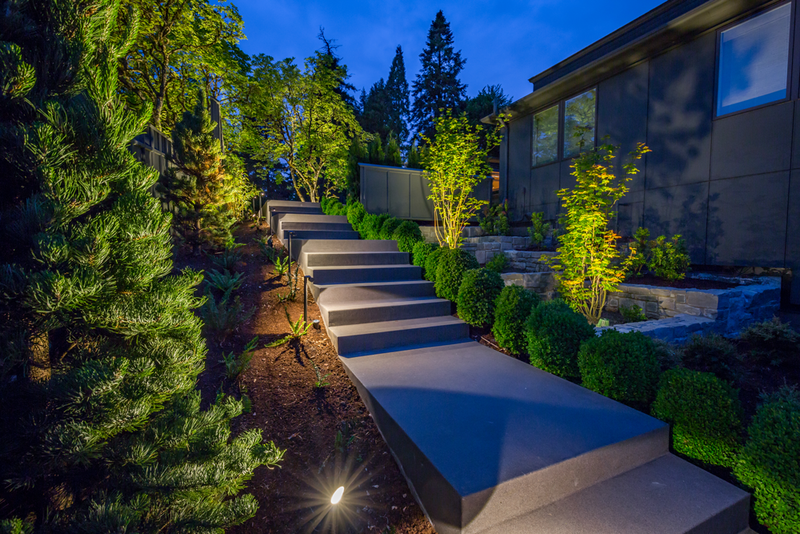 Eris segmented the website into three different service offerings: outdoor lighting design, consulting, and supply services. 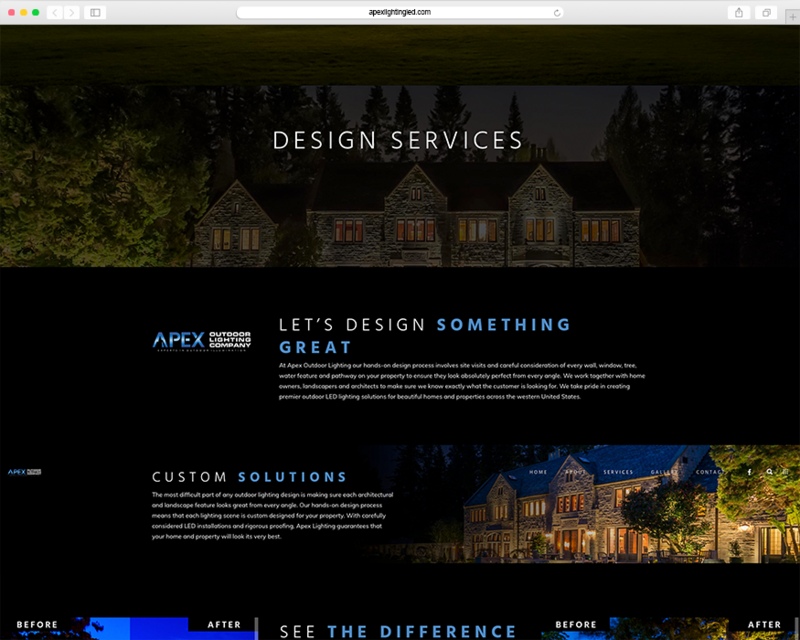 Because Apex offers a variety of services, it was critical to nail down the messaging to avoid any potential confusion for the customer. 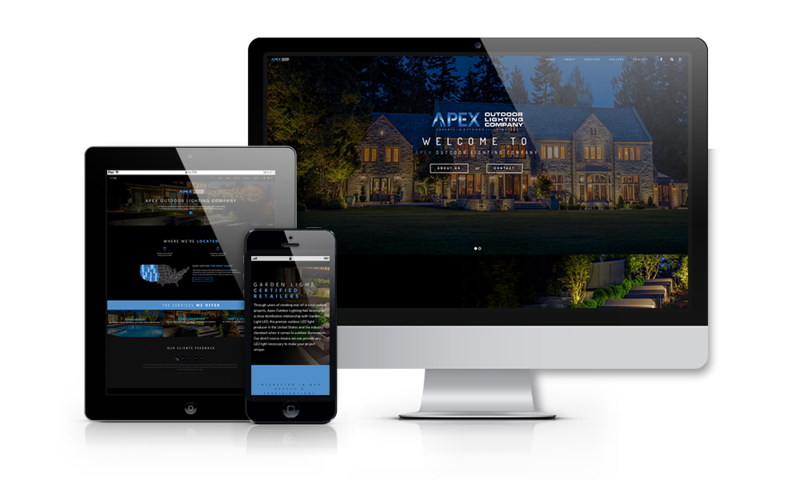 Apex’s products are highly aesthetic; therefore, photos are a huge component of the website. 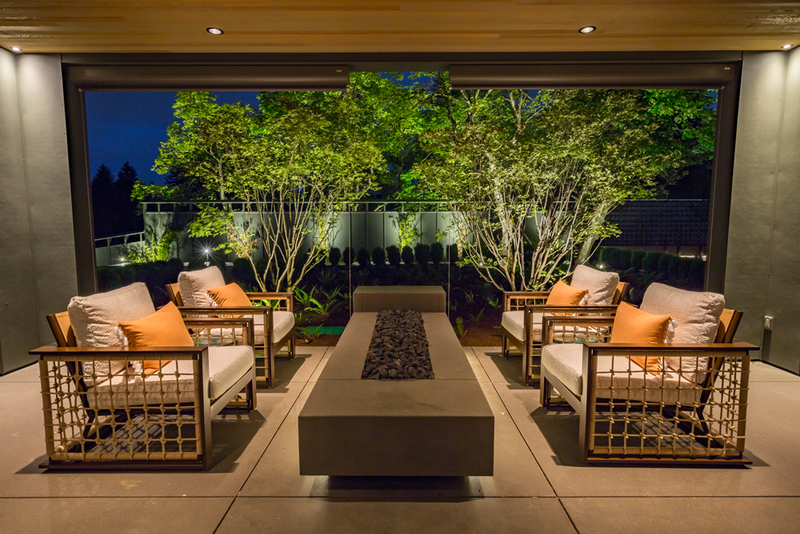 Because each design project that Apex does is customized to the specific landscape and home, the photos showcase a great deal of diversity. 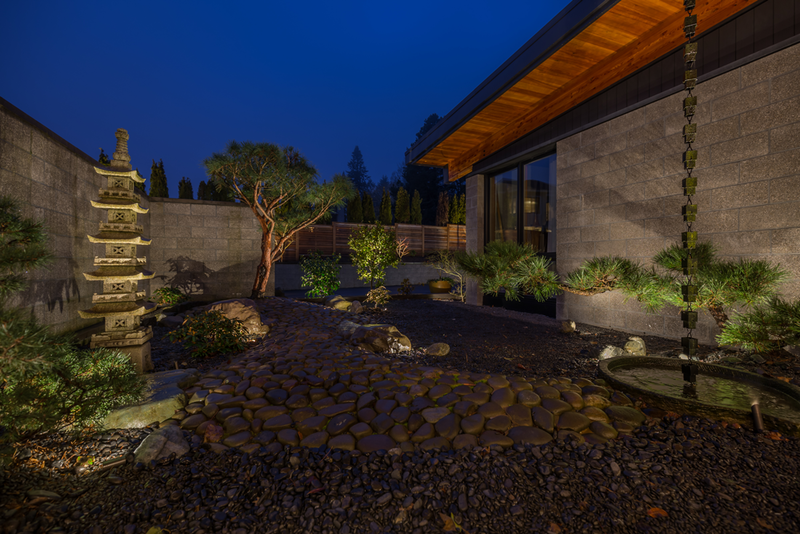 The site is chocked full of premium nighttime photos provided by Eris Creative. 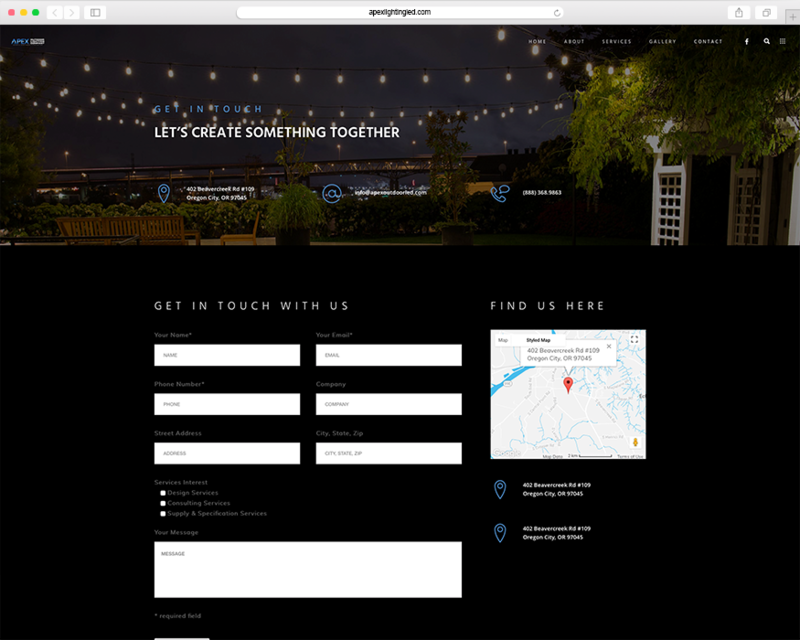 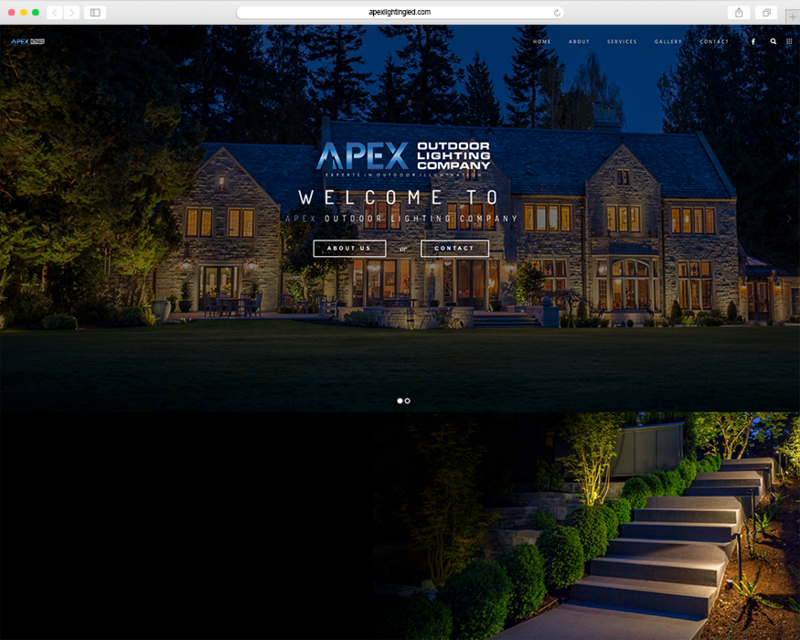 The black background of the site seemed like an obvious answer to accommodate the beautiful nighttime photography and high-end feel that Apex wanted for its site. 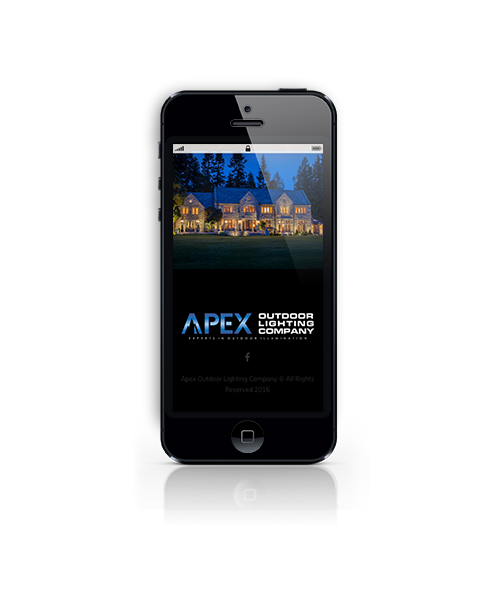 Additionally, a user-friendly interface was essential to communicating Apex’s multiple services and products. 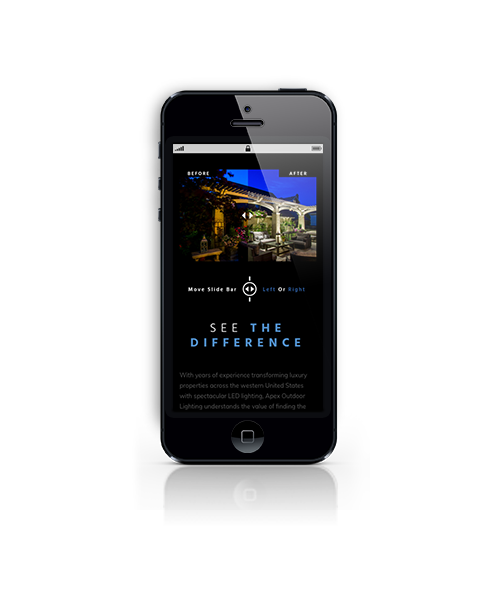 Capturing the effects of the lighting was one of the single most important aspects of the website. 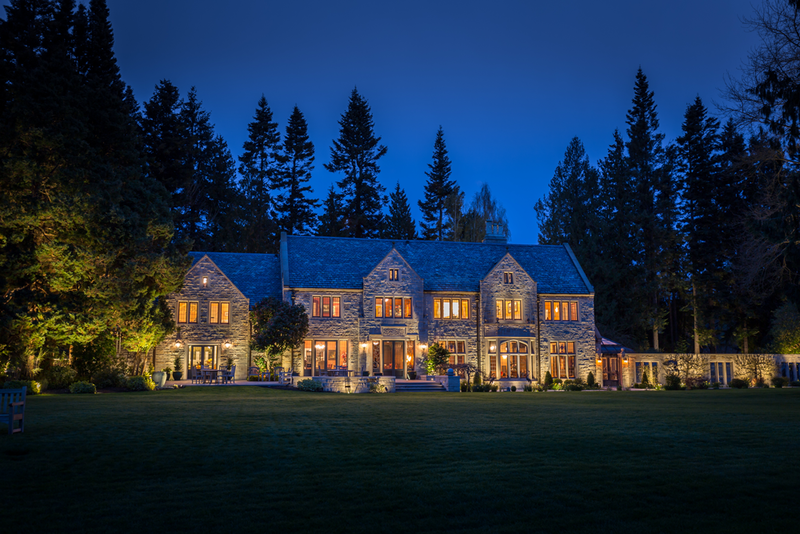 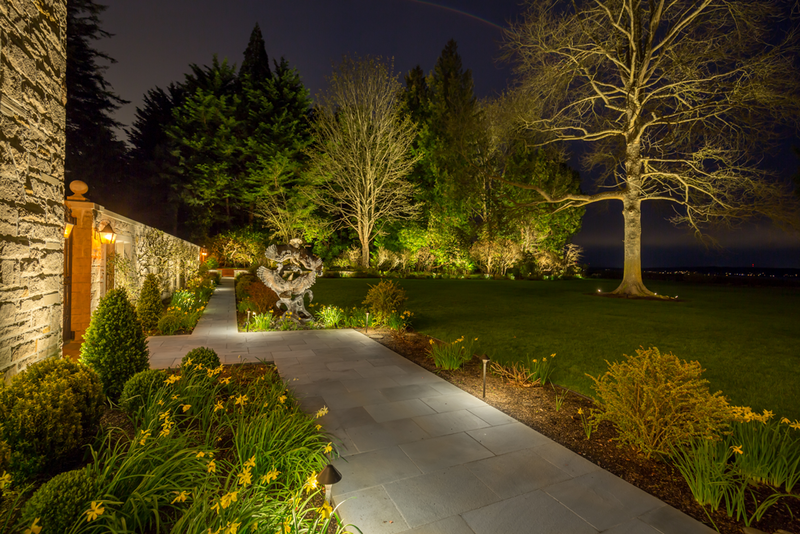 Our ability to capture exceptional nighttime lighting photography was what drew Apex to Eris initially. 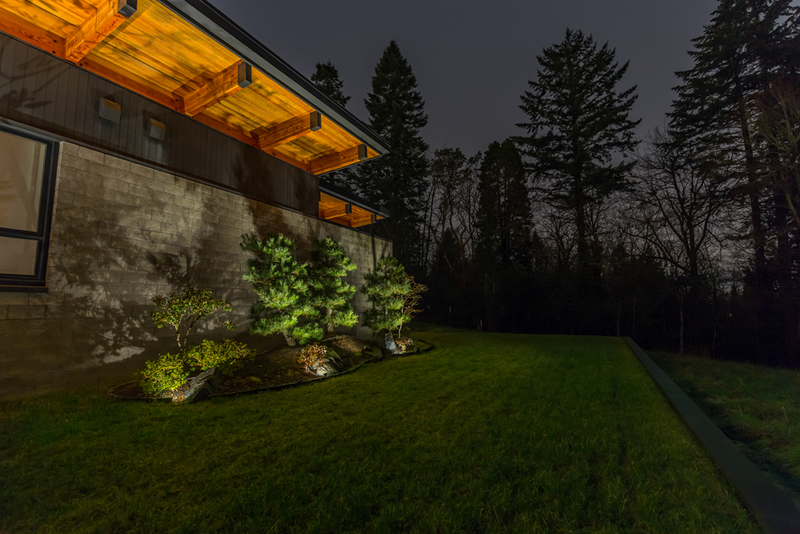 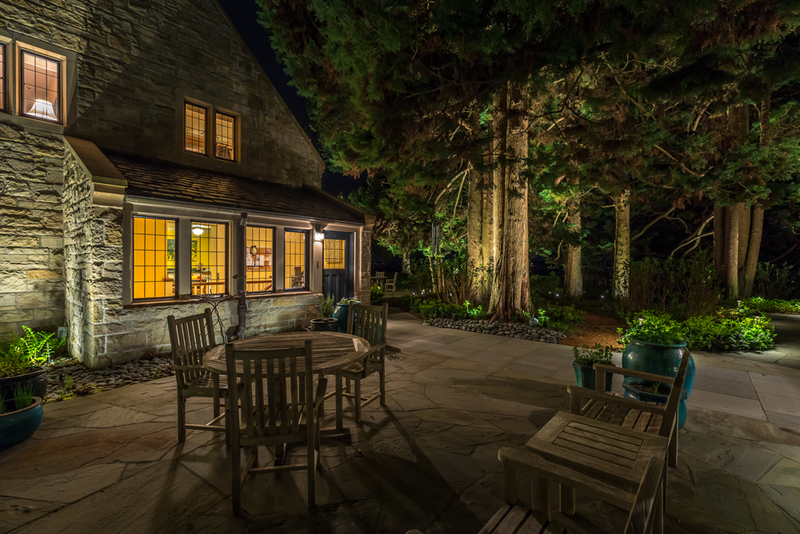 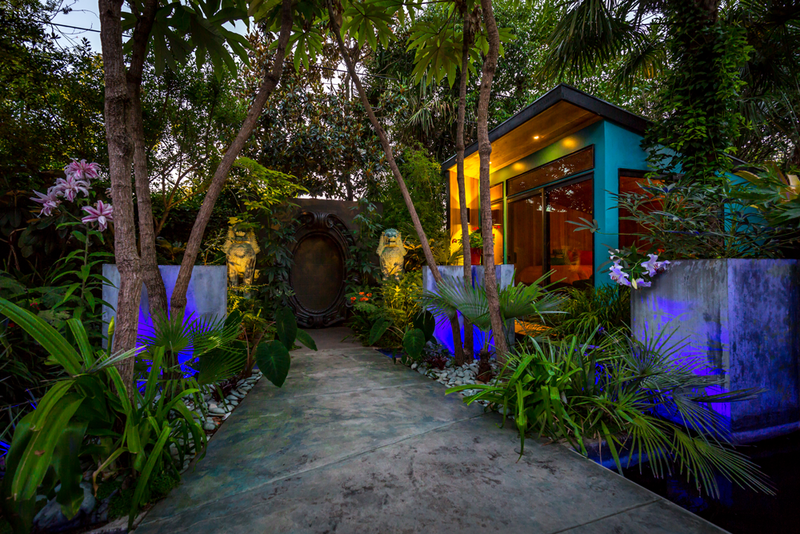 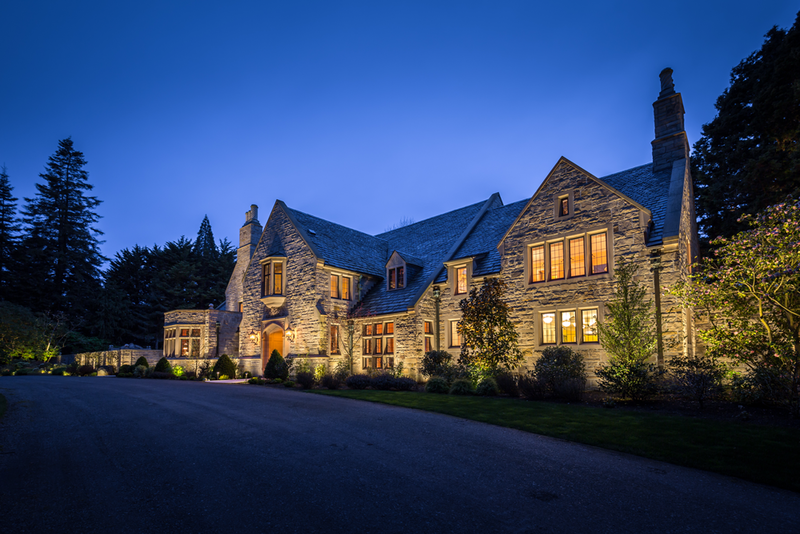 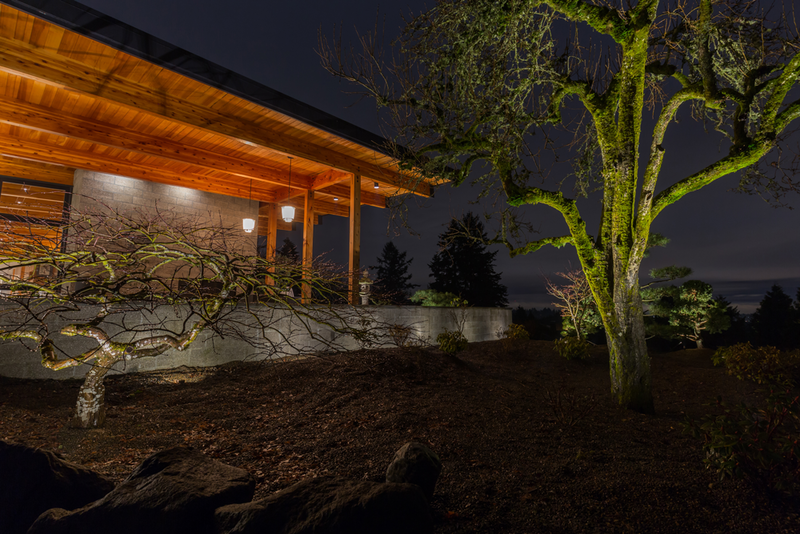 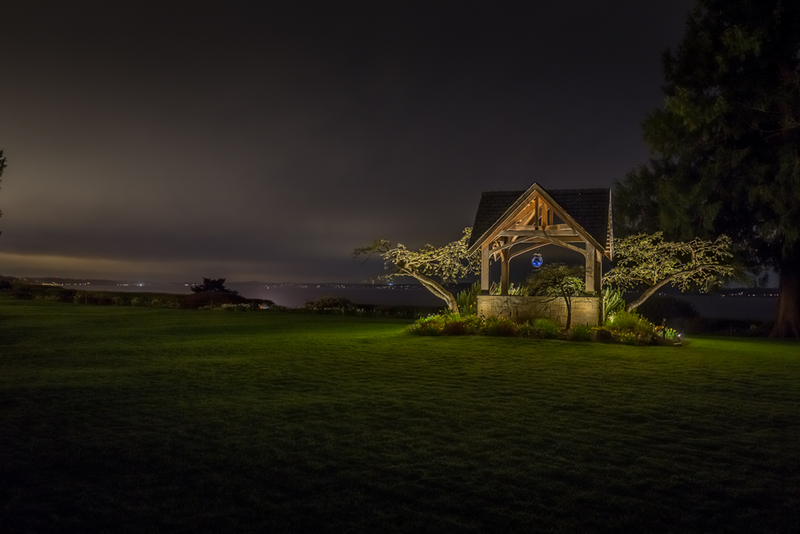 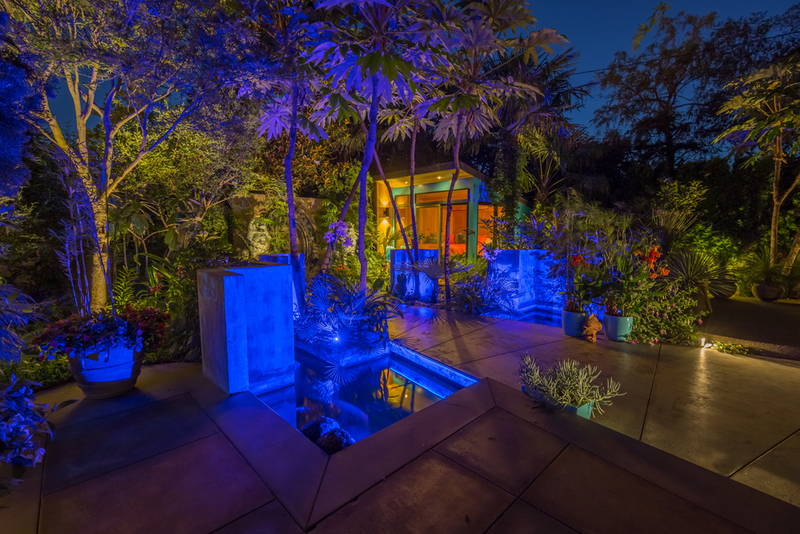 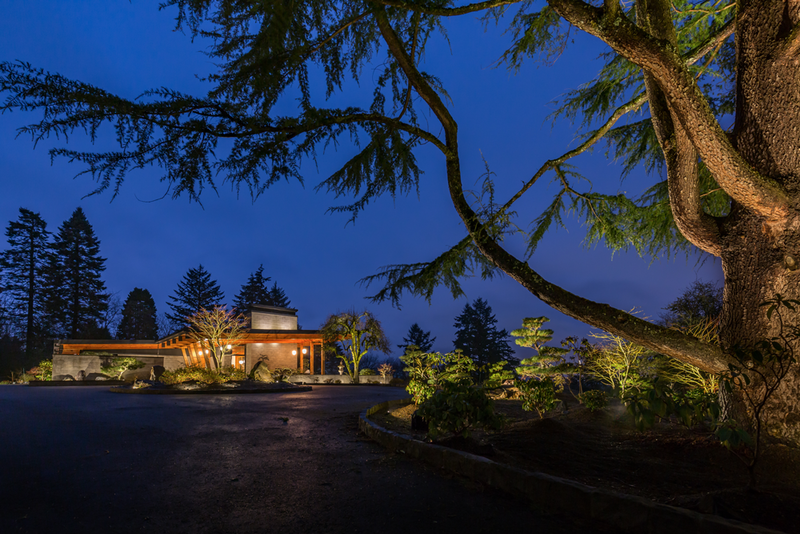 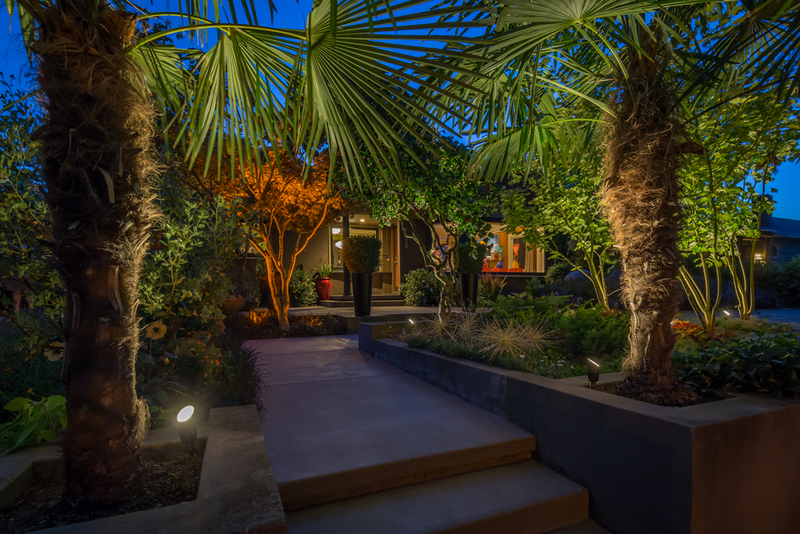 The nighttime or “starlight” photography that Eris provided for Apex Outdoor Lighting became the focal point of the website.